This single malt whiskey, is the second offering to newly launched Lambay Whiskey in 2018. 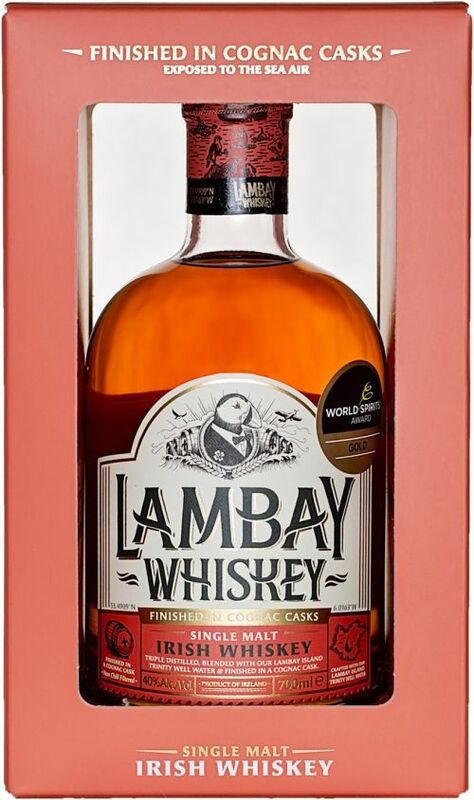 Lambay Whiskey is named after Lambay, a privately owned island located just 3km off the coast of Skerries, Dublin. It is well known to be home to both wallabies and puffins living in harmony alongside the Baring Family. The whiskey itself is triple distilled, matured in ex-bourbon barrels and finished in Camus cognac casks. These casks have been exposed to the sea air in a bonded maturation warehouse called the Sea Cask Room on Lambay Island. After maturation, the whiskey is crafted with water from Lambay Islands” very own volcanic Trinity Well, harmonising the spirit to 40% abv. This is the first Irish whiskey to be finished in cognac casks.